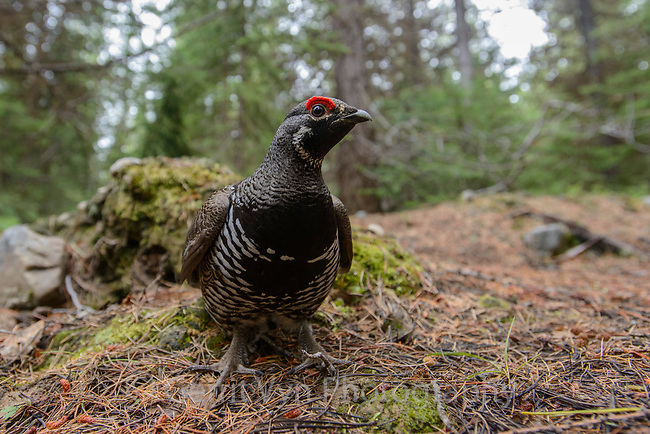 Male "Franklin's" Spruce Grouse (Falcipennis canadensis). Okanogan County, Washington. May.